Over the next couple of weekends, two of Kent’s most beautiful and enigmatic gardens will be opening their gates to the curious public. Both reveal their secrets on just one day each year, so are a must if you are in the county and love to visit special places. The first of our Kentish Belles is medieval Saltwood Castle near Hythe, home of the late Alan Clark MP, opening to raise funds for the NSPCC. This year’s date is Saturday May 3rd. Saltwood is everything one could want of an English castle; there’s a foreboding keep, crumbling walls wreathed in roses, dungeons and a ruined chapel. If you fancy going the whole hog, archery lessons are offered in the moat, which is thankfully now dry. 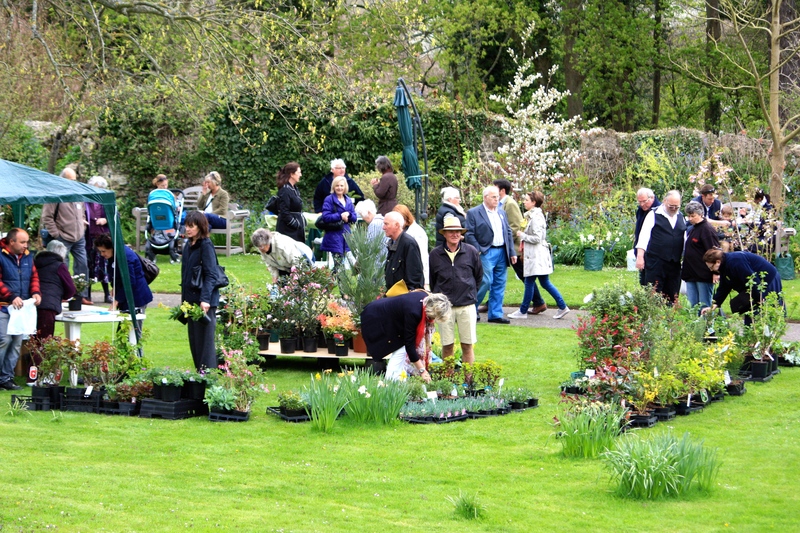 There are always excellent plants on offer as well as art, pottery and artisan foods for sale. Shelter and other creature comforts are limited as this is a private home for 364 days of the year, so bring a coat, umbrella and an empty car boot for all your purchases. It’s a popular event come rain or shine. You can read more about last year’s open day here and get opening and entrance details from the NSPCC website. Only a stone’s throw away is Sandling Park, which opens on Sunday May 11th for Pilgrims Hospices. This year promises to be a vintage year for blooms, following a mild start to spring. If, like me, you love the unashamed exuberance of rhododendrons and azaleas you will love Sandling Park. There are some very choice rhododendrons, grown to perfection amongst a remarkable number of champion trees, and a second-to-none collection of deciduous azaleas. Last year was so cold that they were barely in flower in early May, so this year should offer a very different experience. Find out more about my visit to Sandling Park last year and more details on Pilgrims Hospices own website. Well, some do, some don’t. Judging by many people’s front gardens these days, they don’t, but thankfully there are still a good number of us who are genuinely passionate about our plots. 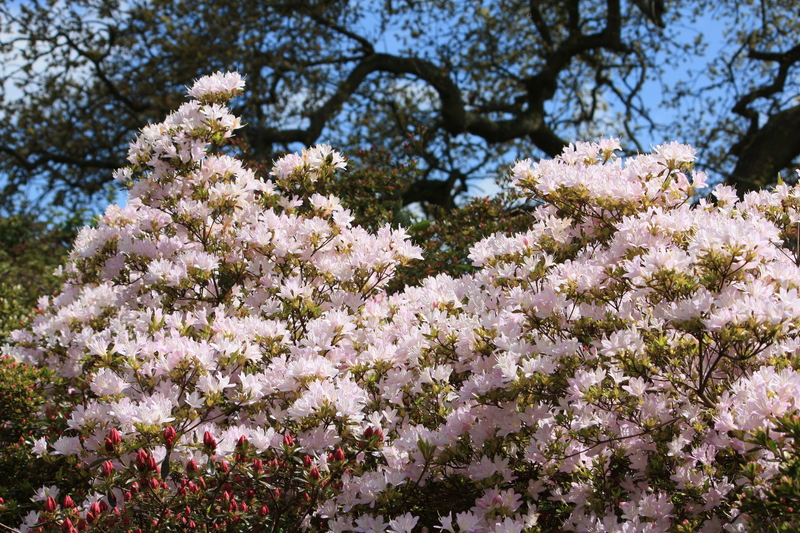 I had no idea azaleas were showcased in England…..and I lived there :). Now in the USA, and April/May is definitely azalea season, it’s a time when I get deliciously dizzy with all the colors and fragrances :). Just a new blogger myself and stopping by to comment on the beautiful photos. Hi Loretta. 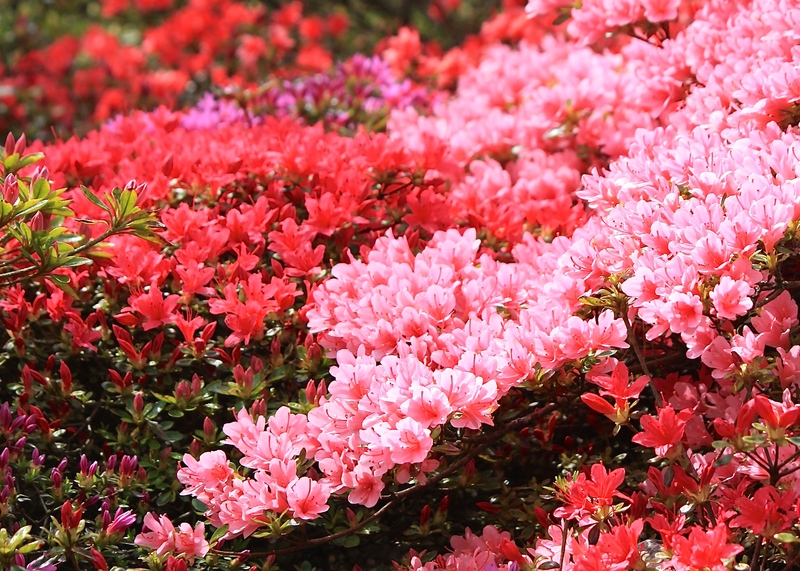 We have very many gardens in England that specialise in azaleas, mainly in the South, but perhaps because they are mainly spring gardens they are slightly less well know, I am not sure. My favourites are the deciduous types as I adore the fiery colours, hot pinks and distinctive fragrance. 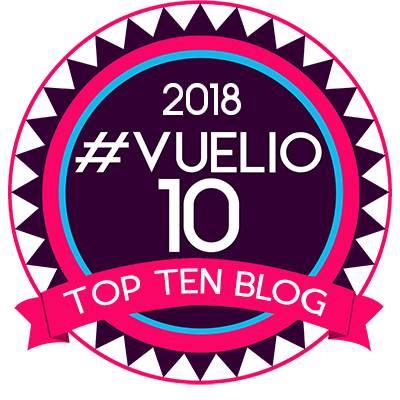 Thank you so much for taking the time to look at my blog. Please do follow as I should be writing new posts about azaleas over the coming weeks.